Joblift has compared the UK’s financial sector job market with Germany. Its findings show that while the UK has posted more vacancies in the last two years, the German market has increased at quadruple the rate. Since January 2018, the UK’s financial job market has decreased by 6% on average each month, while Germany has seen a 6% monthly increase. 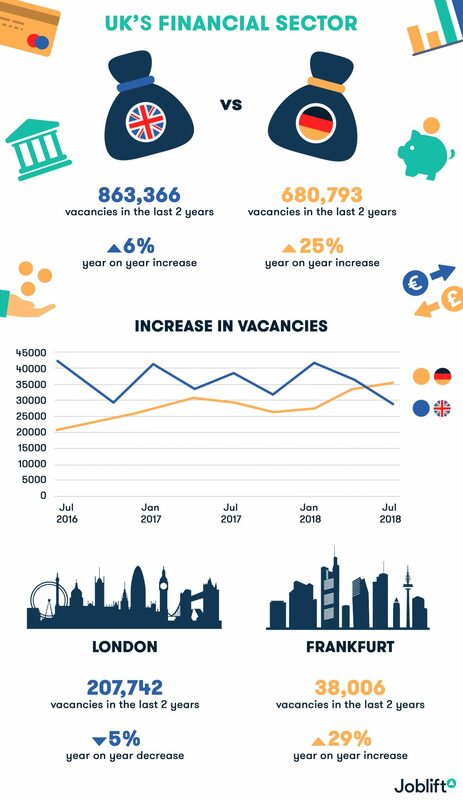 It also looked at the job markets of London and Frankfurt and found that while London has hosted five times more vacancies, the city has seen an average yearly decrease of 5%. Frankfurt’s financial job market, on the other hand, has increased by 29% year on year.